We are also producing home furnishing items like Bed sheets, Pillow cases, fitted sheets, Duvet covers etc. DescriptionYou are buying the world's finest Bedding made with supreme quality of PIMA cotton. It features a silky smooth and it's made from PIMA cotton. These sheets offer a soft, smooth surface with an understated luster, and they pair well with both solid and stripe patterned bedding. We have gained prominence in the domainby offering most advanced Pillow Cases. By using modern machinery, we manufacture these pillow cases in accordance to latest market trends. These soft cotton pillowcases are hand printed in Jaipur in a stunning graduating ombre' technique available in 3 fabulous colourways. Teal turquoise to a fresh mint green, deep sea blue to a sky blue or berry purple to candy pink in a mandala print with floral paisley background pattern on a crisp white base! Being counted amongst the leading firm, we are involved in offering a varied collection of Pillow Case to our patrons. Clientele can avail this product at industry leading rates. We have Pillowcases of both Solid and Stripe pattern. All colors, sizes and designs are available. We manufacture according to buyers requirements. Catering to the demands of customers as a reliable organization, we are engrossed in providing 1 Flat Sheet and 2 Pillow Case. At our infrastructure facility, which is laced with modern machinery, these cases are manufactured with perfection. Furthermore, these cases are checked on various parameters to ensure flawlessness. 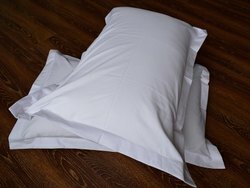 Availability: In stock Good Pillows Covers makes a lot effect on a good night sleep. It should be soft and comfortable as well as attractive.Choose from our range of covers and you will feel the difference. We offer a exclusive range of Pillow Case by us is very comfortable to use and is perfect for keeping the pillow intact and soft together. Our offered range is easy to maintain, use and is available in various gradations for our esteemed clients. Moreover, the customers can avail the offered products at market leading prices. most of us love fresh pillow cases to sleep on or cuddle up with. Something that smells fresh and nice, not just of sweat, oil or make up. Take a few from tangia and you just could get something that relaxes you completely and gets you all prepped up fresh as a cucumber for the next day. 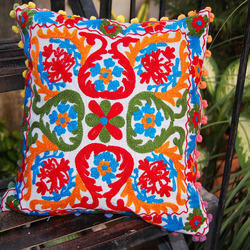 Our range of Plain Dyed or Printed Collection of Cotton Pillowcase comes in a pleasing range of colors. Perfect to complete your bedding, our luxury pillowcase is sumptuously soft.